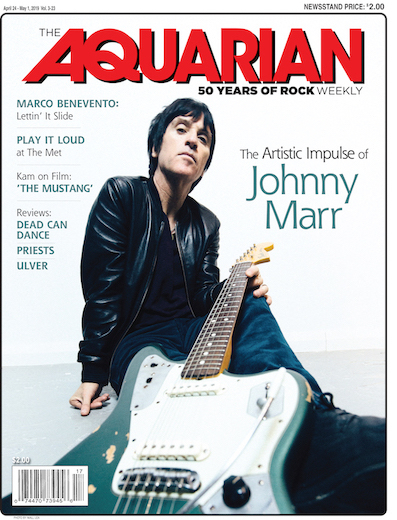 Of all the musicians to co-opt the imagery of Atlantis—Donovan, The Isley Brothers, Sun Ra, et. al—The Wounded Kings’ depiction is certainly the gloomiest. Traditional UK doom made even more British by virtue of singer George Birch’s Jack Bruce-esque wavering vocal, The Shadow Over Atlantis has such a solid and straightforward adherence to the genre it makes Candlemass look experimental by comparison. Maybe that’s a stretch. But to overemphasize the simple seaworthiness of Atlantis is difficult, with riffs so locked in doom lore that you can almost imagine there was a thin sheet of dust on the two-inch tape this was plainly recorded on from the irregularly dusted castle it was plainly recorded in. Endlessly looping fuzzed out guitars with overdriven leads supported by no frills drumming with Castlevania-esque piano arpeggios occasionally joining the band, but without any weepy goth overtones. With a sense of traditional grandness never hampered by the overplaying that can sometimes plague newer bands attempting similar feats, The Wounded Kings’ sophomore release (which I sadly have no reference for, beyond second-hand reports that it’s awesome) would, in a more perfect international doom scene, put them on tours all over the civilized doomscape. But as they’re in England, and we’re over here, don’t expect to see a hell of a lot of activity from the UK-based doom metal band on a Swedish label over here. Still, there’s always hope in doom.